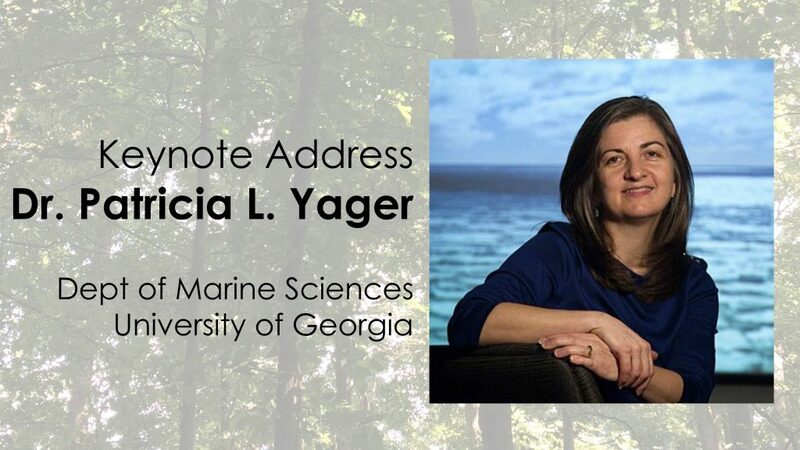 Patricia Yager, a professor in the University of Georgia’s School of Marine Programs, investigates how climate and climate-driven processes affect marine biota and the global carbon cycle. She earned her PhD from the University of Washington in 1996, was a UCAR Ocean Modeling Postdoc, and has been faculty at both Florida State University and the University of Georgia (since 1998). She has received research grants from the National Science Foundation, NASA, NOAA, DOE, the Gordon and Betty Moore Foundation, the National Academy Keck Foundation, and the Ray C. Anderson Foundation, and published more than 70 papers with nearly 3000 citations. She works well across disciplinary boundaries to synthesize ideas about complex earth systems. Her research focuses on the ocean’s role of absorbing excess carbon dioxide from the atmosphere. Carbon uptake by marine organisms can be altered when the ocean responds to changes in climate, thus affecting the ocean’s exchange with the atmosphere. Regions of interest span the globe, with projects in Antarctica and the Arctic, as well as the western tropical North Atlantic. Recent efforts have explored the impact of changing rivers, glacial melt, and sea ice melt on net community production in the coastal ocean. As primary agents for carbon and nutrient cycling in the ocean, marine microorganisms are the focus of her efforts, but her interests and international collaborations include the discovery of a coral reef system near the mouth of the Amazon River. Yager’s observational and experimental fieldwork combines with numerical modeling approaches to straddle biological, chemical, and physical oceanography.